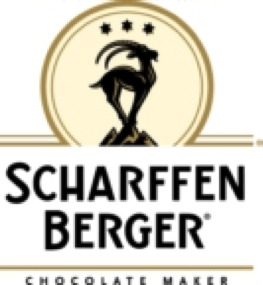 HEALDSBURG, CA This summer, Ferrari-Carano Vineyards and Winery® is delighted to introduceScharffen Berger® Chocolate artisan chocolate into its Seasons of the Vineyard™ Wine Shop. Opened officially on July 1st, the shop will become the flagship store for Scharffen Berger Chocolate Maker in Healdsburg Plaza. It will offer a range of gourmet chocolate for sale, wine and chocolate pairing events and a fun educational experience about bean-to-bar chocolate making. Throughout the years, guests of Seasons of the Vineyard have enjoyed one-of-a-kind shopping experiences, signature wine tastings from Ferrari-Carano and Lazy Creek Vineyards, and live performances by local jazz musicians. Now, Scharffen Berger Chocolate Maker’s gourmet assortment of products, including gifts and baking chocolates, will be available for purchase in the boutique. The Seasons of the Vineyard tasting bar will also feature the Scharffen Berger chocolate in new, expertly coordinated wine and chocolate pairing events. In addition to its presence at Ferrari-Carano’s Seasons of the Vineyard Wine Shop, Scharffen Berger Chocolate Maker will be sponsoring several concerts during the Healdsburg “Tuesdays in the Plaza” summer concert series. This community favorite for live entertainment features talented artists, and it will allow concert-goers an opportunity to try a sample of Scharffen Bergerchocolate. On Saturday August 17th from 2-6 PM, a series of events will be held at Seasons of the Vineyard Wine Shop to celebrate the launch of the collaboration. The event will include a baking demo by James Beard Award-winning chef, Joanne Weir, showcasing a new single-origin chocolate from Scharffen Berger called San Juan de Cheni, and a discussion of cacao bean sourcing from cacao expert, Ray Major. Schedule is: 2-2:45 PM Baking Demo by Joanne Weir, 2:45-3:15 PM Cacao bean sourcing talk by Ray Major, 4-6 PM Summer Jazz Session with Chris Amberg & his Hot Dogs featuring the Young Brauts. For additional information about Seasons of the Vineyard, visit: www.seasonsofthevineyard.com or call (707) 431-2222. 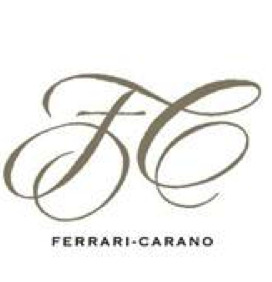 Also, visit www.ferrari-carano.com for more information about Ferrari-Carano wines. For more information about Scharffen Berger chocolates, visit: www.scharffenberger.com. For details about the Tuesdays in the Plaza concert series, visit: www.ci.healdsburg.ca.us. Since 1985, Ferrari-Carano has been a leading producer of world class, nationally acclaimed wines. Vintage after vintage, the wines exhibit a remarkable consistency of style and elegance. Unlike their corporate competitors, Don and Rhonda Carano's uncompromising commitment to quality and excellence is a reflection of their desire to produce memorable wines that enhance the pleasures of gracious entertaining and not focus on short-term financial goals. Scharffen Berger Chocolate Maker was established in 1997 in San Francisco, California, and first earned national recognition for its artisan-quality chocolate in 1998. Producing bean-to-bar premium chocolate, Scharffen Berger Chocolate Maker is one of the world's finest chocolate makers. All Scharffen Berger chocolate is composed of proprietary bean blends from up to nine different cacao-growing regions throughout the world. Scharffen Berger chocolate has received recognition throughout the U.S. for its high quality chocolate.